Heat and cold therapy are both non-surgical procedures. Using temperature, these therapies help alleviate pain and can help promote a cure to many common aches and pains. Heat and cold therapy are often used in combination with chiropractic treatment. Working together this can help to enhance and accelerate healing and recovery time. While the overall qualities of warmth and heat have long been associated with comfort and relaxation, heat therapy goes a step further and can provide both pain relief and healing benefits for many types of pain such as lower back pain. For many people, heat therapy works best when combined with other treatments, such as physical therapy and exercise. Relative to most medical treatments available, heat therapy is appealing to many people because it is a non-invasive and non-pharmaceutical form of pain relief. Heat application facilitates stretching the soft tissues around the spine, including muscles, connective tissue, and adhesions. Consequently, with heat therapy, there will be a decrease in stiffness as well as injury, with an increase in flexibility and overall feeling of comfort. Flexibility is very important for a healthy back. Heat therapy is also easy to do – it can be done at home while relaxing, and portable heat wraps also make it an option while at work or in the car. Compared to most therapies, heat therapy is quite inexpensive (and in many circumstances it’s free – such as taking a hot bath). Heat therapy is just one of many techniques we use to alleviate pain. 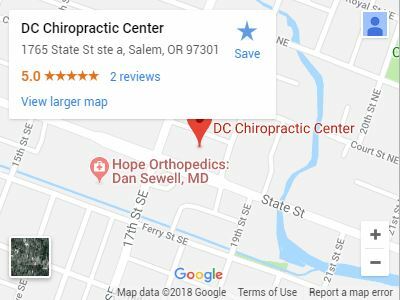 Call Dr. Daniel O. Cook’s office today to set up an appointment to discuss your specific ailments and how heat therapy may help you in your road back to health.